Vegan jerky is a staple snack for many hikers. 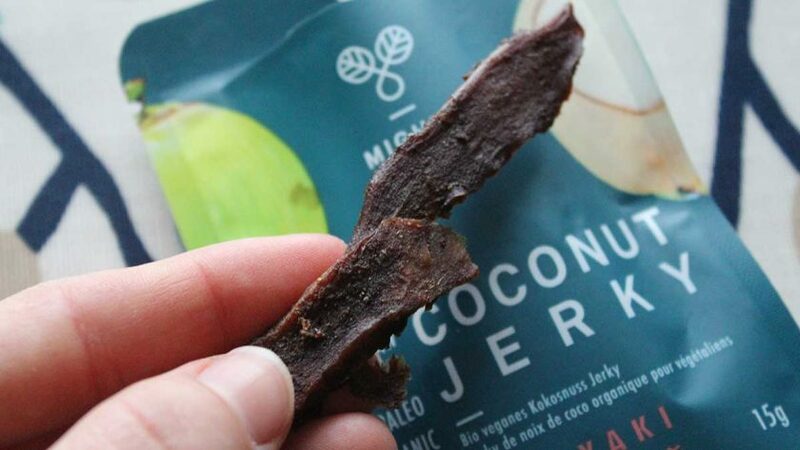 Read my review of Mighty Bee's new jerky made from coconut! 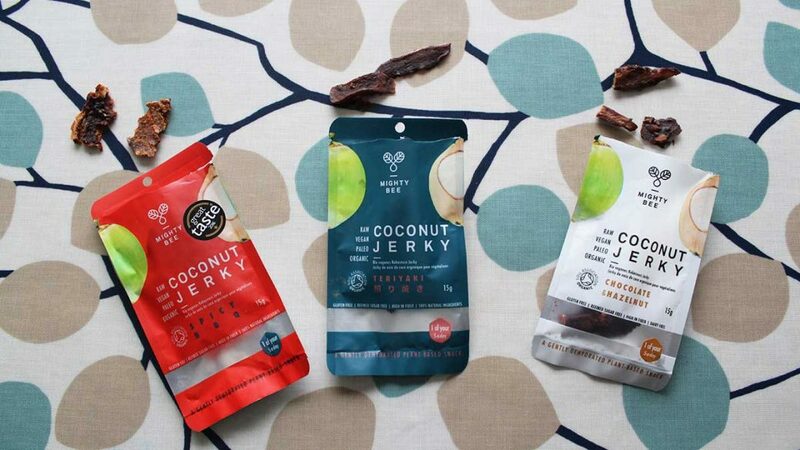 Vegan jerky is a staple snack for many hikers. It’s full of protein and its savoury umami taste and chewy texture satisfies most cravings when out on a long trip. A few months ago I tried the popular brand of vegan jerky Primal Strips. (See my review here.) Most of its strips are made from soy and seitan, but there was also one offering made from shiitake mushroom. As a newbie to jerky, I definitely preferred the shiitake mushroom variety as it was slightly softer in texture and not as ‘meat-like’ as the other options. That being said, the other varieties would be ideal for those used to the traditional beef jerky, as I was told by my friend that they tasted quite similar. In a bid to try some more varieties and discover whether jerky could become a staple snack for me, I did some research and was pleased to come across another brand called Mighty Bee. 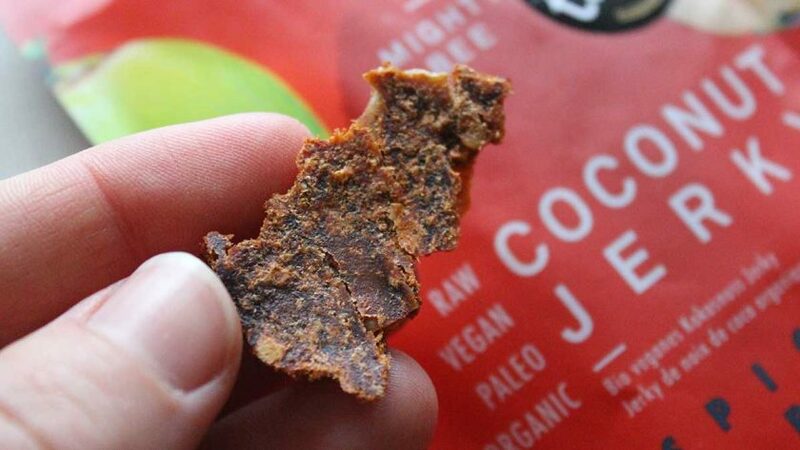 Unlike Primal Strips, this vegan jerky was made from coconut meat. Perfect for those allergic to or trying to cut out soy. The jerky came in three varieties: Teriyaki, Chocolate & Hazelnut and Spicy BBQ. When I received the jerky, I was pleased to see that it was made using only natural and organic ingredients. Plus each 30g packet was conveniently sized and counted as one of your five a day. 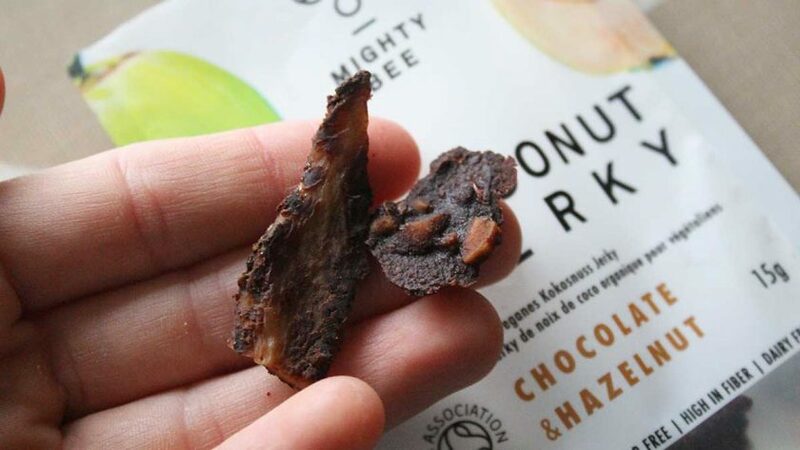 On first appearances, the coconut jerky felt slightly softer than the soy/seitan Primal Strips varieties though it did have a similar ‘bark’ like appearance. In terms of nutritional values, the coconut jerky had a considerable amount more fat in comparison to the soy and seitan Primal Strips but less protein. (2.6g of protein in the coconut jerky compared to 10g of protein in the soy and seitan Primal Strips.) 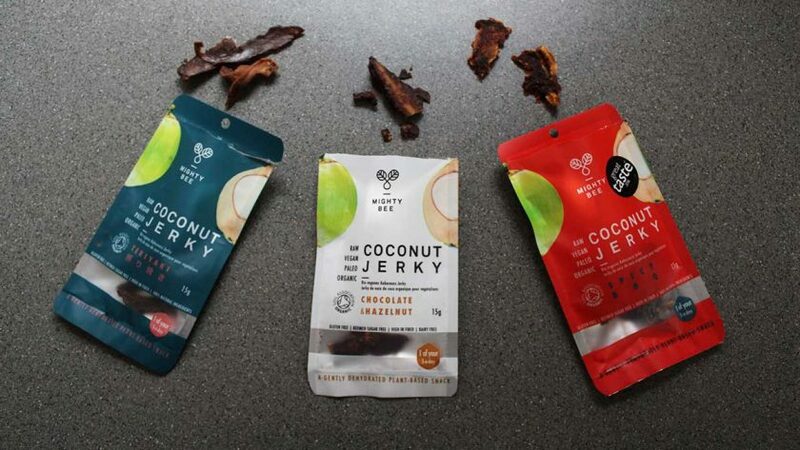 The amount of fat in the coconut jerky (7.8g of which 6.5g are saturates) can be attributed to the middle-chain fatty acids in the coconut which is thought to raise HDL (good) cholesterol levels and may boost your immune system. While these stats make it a highly fatty snack to sustain you while hiking, I wouldn’t advise eaten too much, especially if living a more sedentary lifestyle. After tasting the jerky, my favourite was definitely the Teriyaki. The combination of coconut, ginger, garlic and tamari went well together and there was a pleasant creamy coconut aftertaste. The texture was softer than the soy and seitan varieties, but it still had bite and was chewy. Unfortunately, I wasn’t a fan of the Spicy BBQ flavour. It wasn’t hot and I didn’t think the creamy coconut flavour complimented the sundried tomatoes and spiced paprika. I ended up with a soapy aftertaste in my mouth. After the two savoury varieties, I was excited to try the sweet Chocolate & Hazelnut. I’ve never seen a chocolate flavoured jerky before and I was pleased to see the brand using raw cacao in the mix—as it’s full of antioxidants and minerals. I liked the addition of hazelnuts as it offered another texture and it worked well against the chewy coconut meat. The chocolate flavour was definitely subtle and was slightly bitter—as to be expected from raw cacao. But this went well with the natural creamy coconut flavour. The flavours didn’t wow me and they certainly wouldn’t satisfy full-on chocolate cravings, but the flavour was well rounded and made a nice change from the traditional savoury varieties. Overall I was pleased to find a company dedicated to making vegan jerky using high-quality natural ingredients. I definitely preferred the softer texture in comparison to the soy and seitan jerky and I liked that the brand was using coconut in a different way. I did like the Teriyaki and Chocolate & Hazelnut flavour but wasn't a fan of the Spicy BBQ. Given that the jerky was high in fat and lower in other nutrients like protein I wouldn't want to consume the jerky every day. But for a snack while out backpacking or when exercising, I think it's a really unusual and beneficial alternative. At the moment, you can buy the individual packets at a few online stores including Ocado and TheFoodMarket.com. They cost £2.85 a packet. Or you can buy them by the box from Mighty Bee. 12 packets for £34. Have you heard of BANANITO? 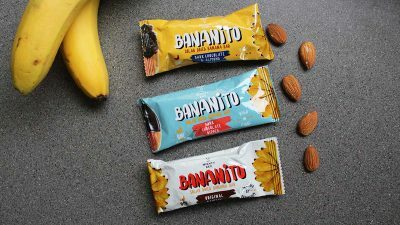 Mighty Bee also makes a brand of solar-dried banana bars called BANANITO. These are delicious and definitely something I’ll be repurchasing. See my full review here. 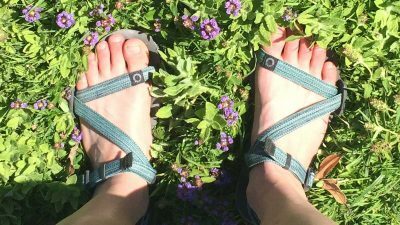 Looking for top quality vegan outdoor shoes and hiking boots? Here are my top 5. What kind of blood test should a vegan get? 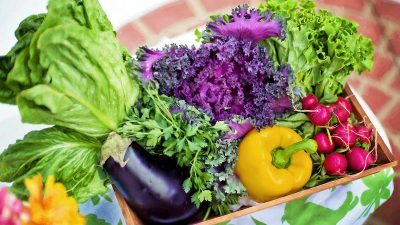 Find out what nutrients to test for and how often you should get tested. 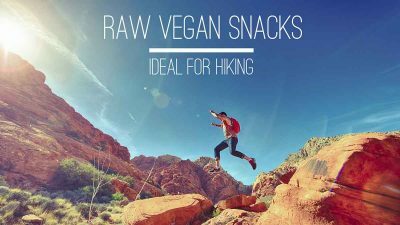 These raw vegan snack ideas are quick, easy and can be packed into your backpack. 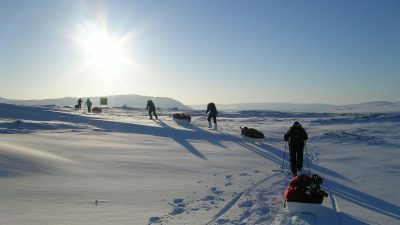 Gear and clothing list, including kit suggestions, of everything you'll need for your expedition. 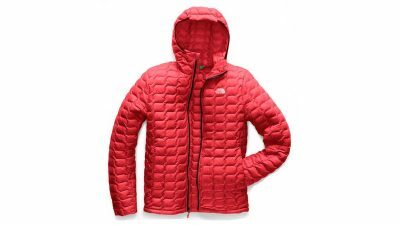 A great quality vegan winter jacket made with recycled materials. The BANANITO bar is a perfect energy boosting snack for anybody into hiking, biking or the gym. 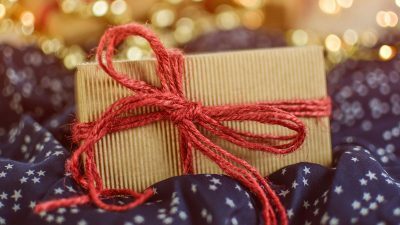 Your zero waste guide to Christmas gifts! Cut your waste and save some money. 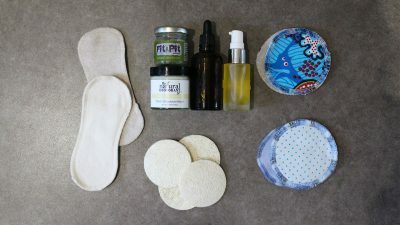 Here's your easy guide to plastic-free toiletries. I test out the minimalist sandal from US brand Xero Shoes. 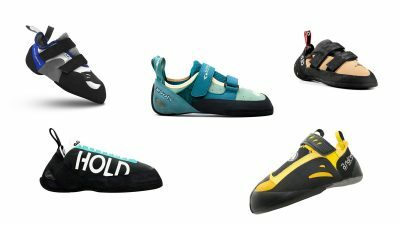 Struggling to find vegan climbing shoes? Take a look at my list of the most popular vegan-friendly brands. 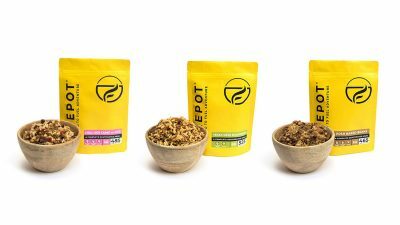 Firepot has launched three new ready made vegan meals perfect for backpacking and camping. 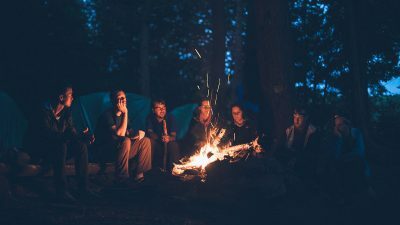 The ultimate guide to camping as a vegan family including ideas on what to eat for breakfast, lunch and dinner. Stasher: The reusable 'ziploc' freezer bag that's plastic free! 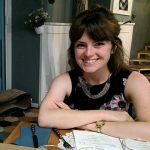 Keep up-to-date with my latest blog posts.